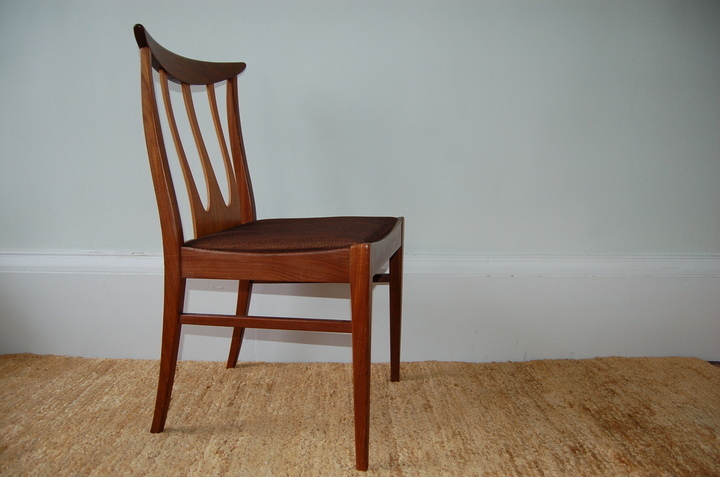 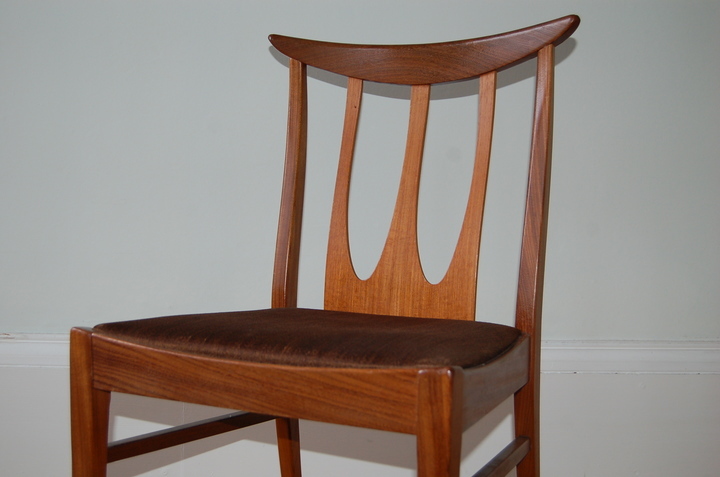 Beautifully stylish dining chairs in great condition. 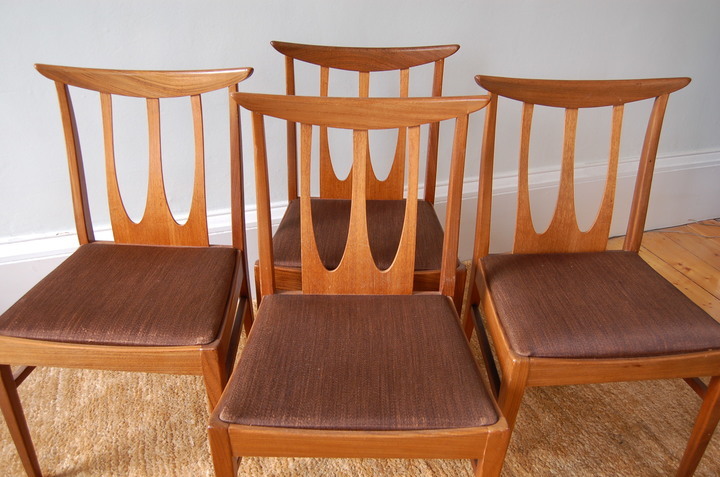 A set of 4 dining chairs with curved sweeping backs produced in the early 1960s by E Gomme / G-Plan. 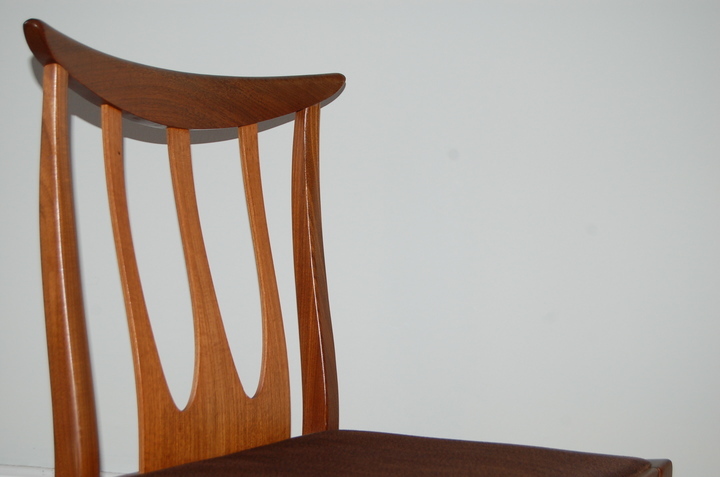 Made from solid Afrormosia (Burmese Teak) with a teak laminate back detail which creates a lovely contrast between the woods. 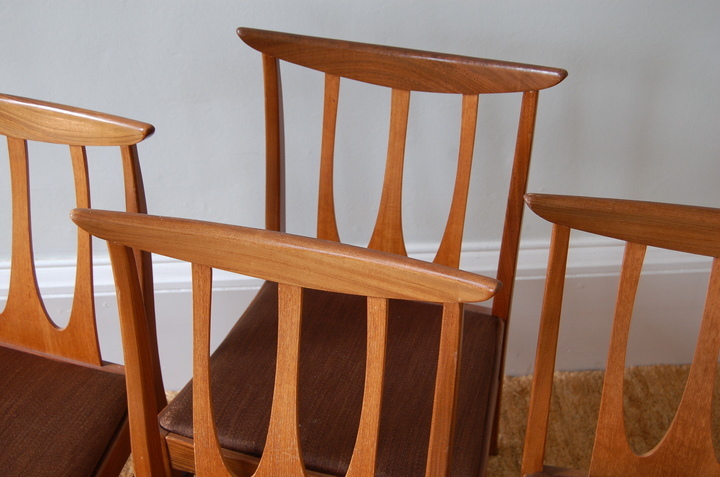 Ib Kofod Larsen was recruited by G-PLan to bring out new designs and stem the loss of sales to Scandinavian imports.